Hop on the Garden State Parkway in NJ between Memorial Day and Labor Day and you’re bound to hit a ton of traffic. The only thing hotter than the outside air temps can be the heads of some drivers. But fear not, there is a light at the end of the parkway that will make enduring the traffic worthwhile. 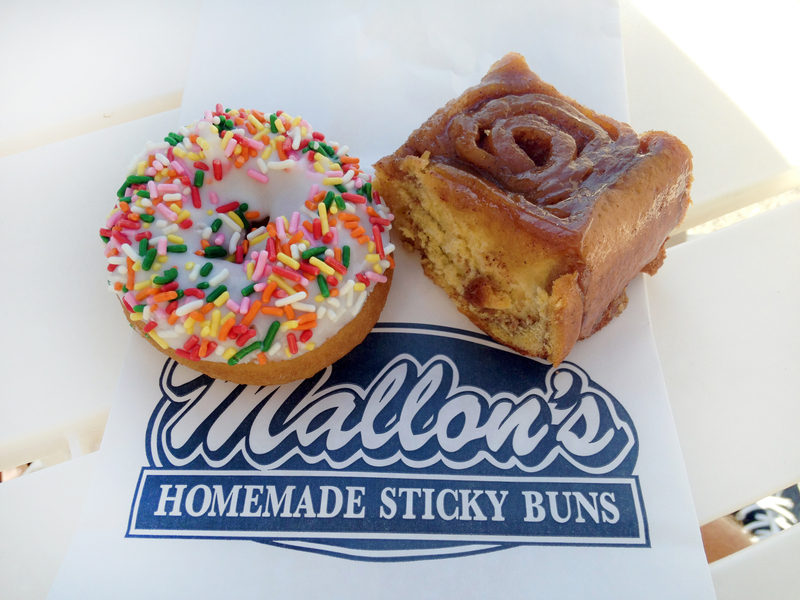 Exit 30 will lead you to Ocean City NJ, where Jody and Ger Bourgeouis’ small family run business called Mallon’s has been serving guilty pleasures since 1988 (Jody’s maiden name is Mallon, which is where the name comes from). 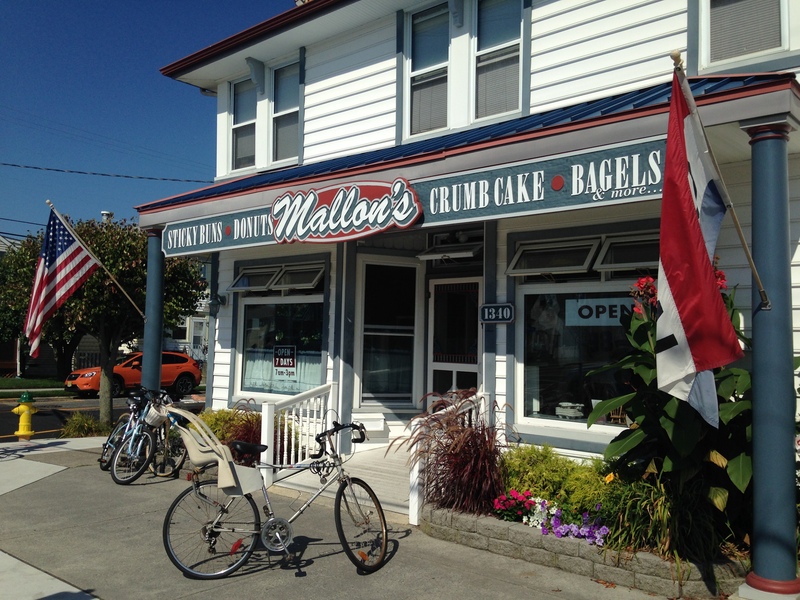 The two have since expanded to multiple locations at the Jersey Shore, but this summer time treat stays consistently good no matter which one you hit up. Their donuts are simple and straightforward. Not too sweet and not over loaded with toppings. There are usually 6-7 different kinds on any given day. 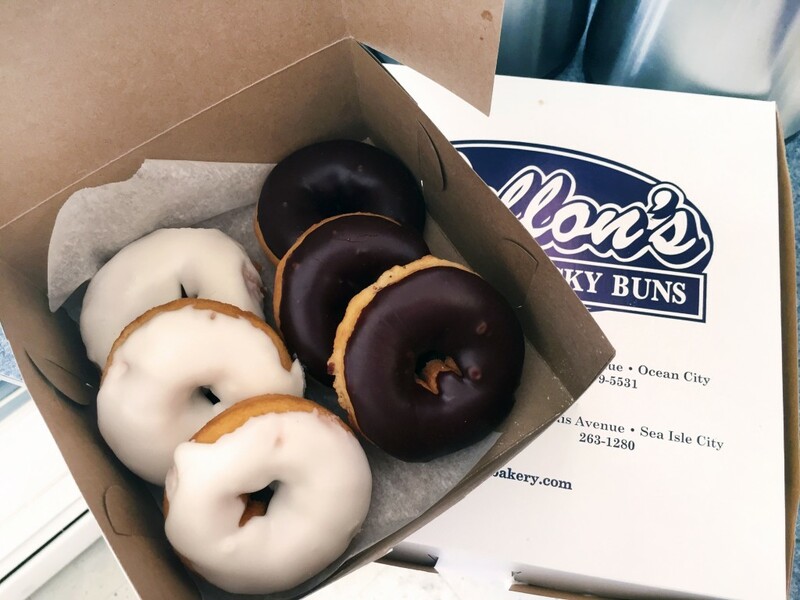 All the varieties are cake donuts, but when you get them fresh they are chewy like a yeast donut. But their claim to fame is their sticky buns. Before you even enter the store, you’re bombarded by smells of baked dough and cinnamon. That’s my kind of cologne! Available in the half dozen or dozen (why would you want less? ), each sticky is a perfect combo of butter, sugar, cinnamon, and whatever else they combine to make that sticky goodness. 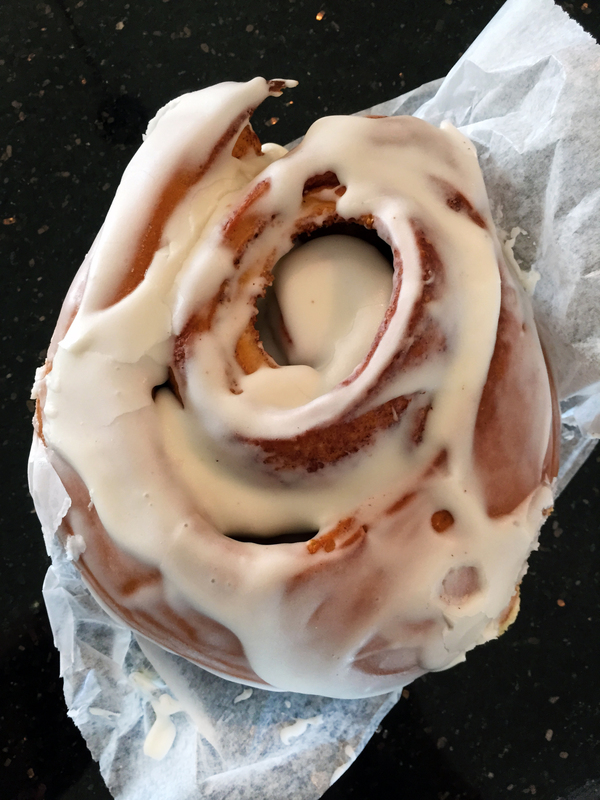 Each bun is soft, sweet, and gooey and goes down way too easy. 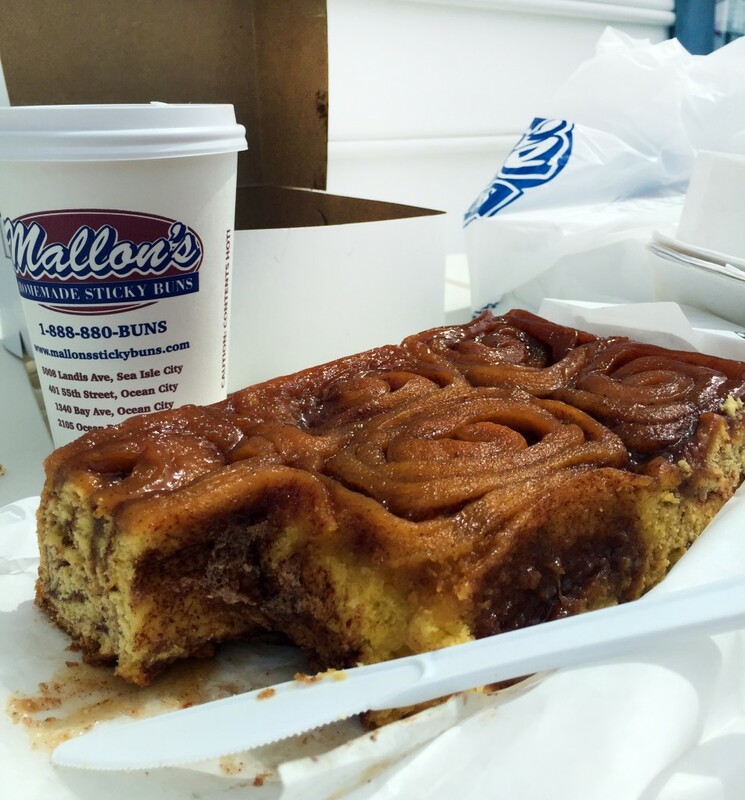 Also, the cinnamon rolls are also to die for and they have a crumb cake of the month club, if you’re so inclined. 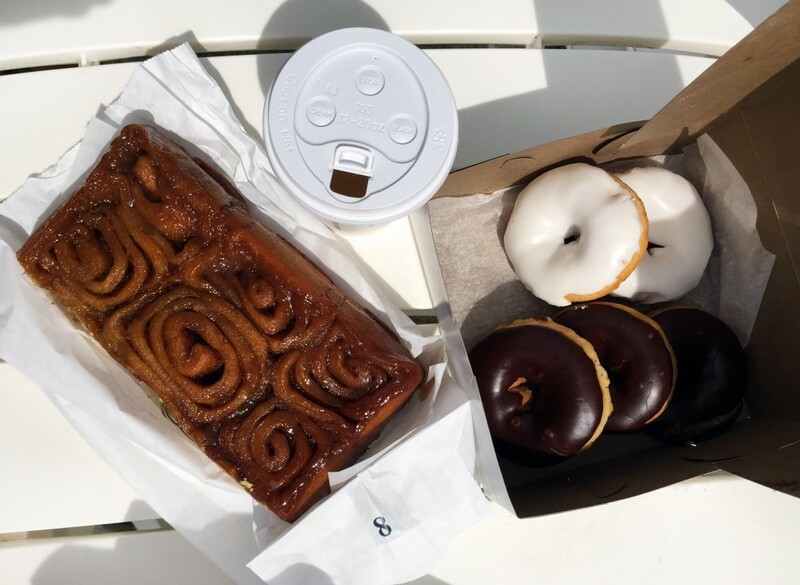 I’m a huge advocate of donuts, but I don’t mind cheating on them with anything gooey and sticky from this place. A great addition to your summer vacation.